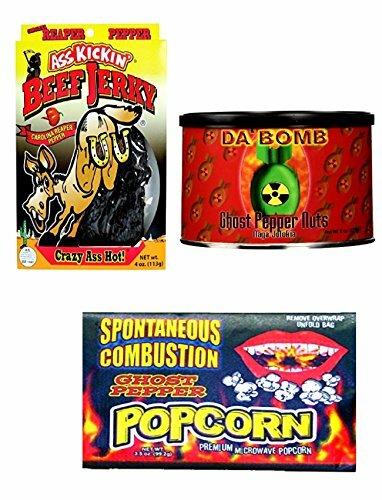 Enjoy your hot Midastick Spicy Mix snacks! Keep spicy food away from children. Photo might not show exact proportion of items. TASTE & FEEL the SPICE HEAT, Family & Best Friends. Birthday, Halloween, Thanksgiving, Christmas Holiday, Chip or Pop Corn Trick Parties, School Reunion every day! Are You Up to the Challenge Party People? Get Your MiDAStick Spicy Mix Triple Treat Now! If you have any questions about this product by MiDAStick Spicy Mix, contact us by completing and submitting the form below. If you are looking for a specif part number, please include it with your message. Organic Pine Nuts Flakes (low fat) 300gr/10.58oz vacuum pack by Siberian Green Food, European organic certificate.